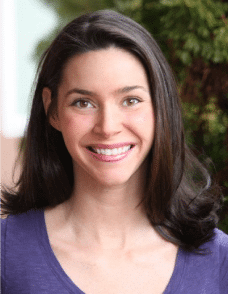 Heather Dessinger 61 Comments This post contains affiliate links. Its oil can be used to make this three-ingredient shampoo bar, homemade deodorant, tooth whitener, lotion bars, and even shaving cream. But as a leave-in conditioner? Yeah, not so much . . . it’s just too heavy for most people. Fortunately, coconut milk softens and conditions without weighing hair down, and only takes minutes to make. Just spritz it on clean, damp hair and you’re good to go. I hope you love this recipe as much as I do! 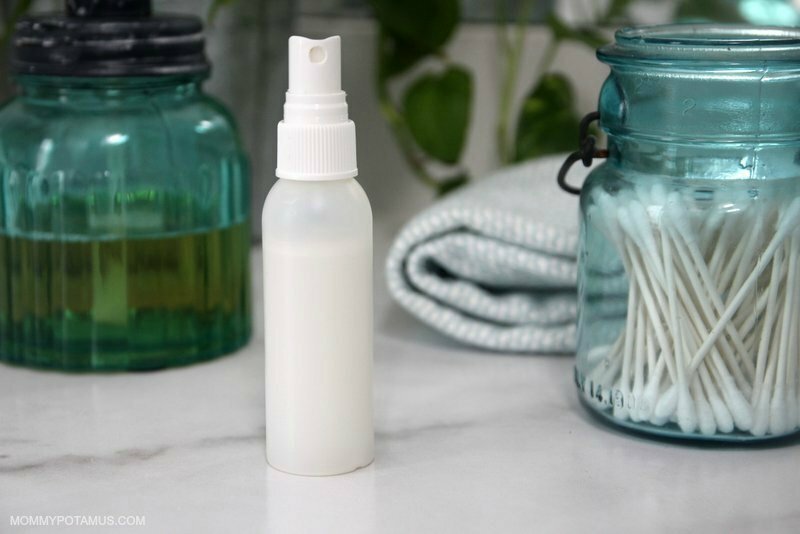 If using canned coconut milk: Whisk together coconut milk, water, and essential oils (if using) and pour mixture into a spray bottle. To save the rest of the coconut milk for future batches, use an ice cube tray to freeze it in 1 tablespoon increments. 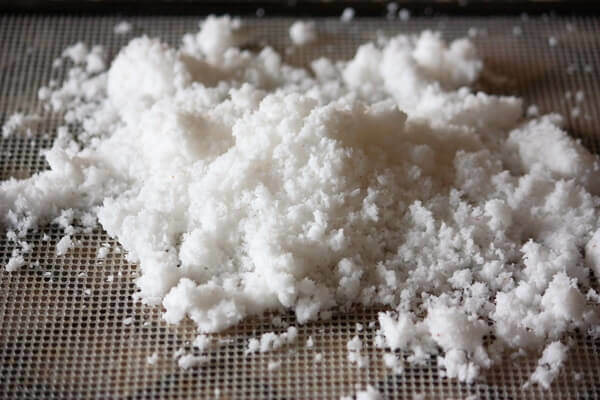 If using homemade coconut milk: After straining the coconut milk as described here, whisk it together with water and essential oils (if using). Place mixture in the fridge for a couple of hours. As it cools a thin layer of cream will harden on the top. Remove mixture from the fridge, give it a whir in the blender, and then pour it into a spray bottle. Shake well before using. Spritz through damp hair and comb through. Store in the refrigerator. Because it doesn’t not contain any preservatives, I make small batches and use within about a week. Umm…if you put it in the fridge, wouldn’t it congeal? The homemade coconut milk does tend to separate when chilled, but if you run it through a blender while cold it tends to stay pretty well dispersed after that. The store-bought typically mixes bag up when shaken. HI there, I was wondering if it’s ok to use canned coconut milk with the guar and xantham gums for this recipe? I am having trouble finding any other kind where I live. I have naturally curly hair, too, and I always need a good leave on. I’m trying this! I have naturally curly hair too and I add Himalayan Pink Sea Salt. I grind it up finely and add about a half a teaspoon. I love the way you always share the products you have used… it always gives me an option for a starting point and makes clear what is being used. 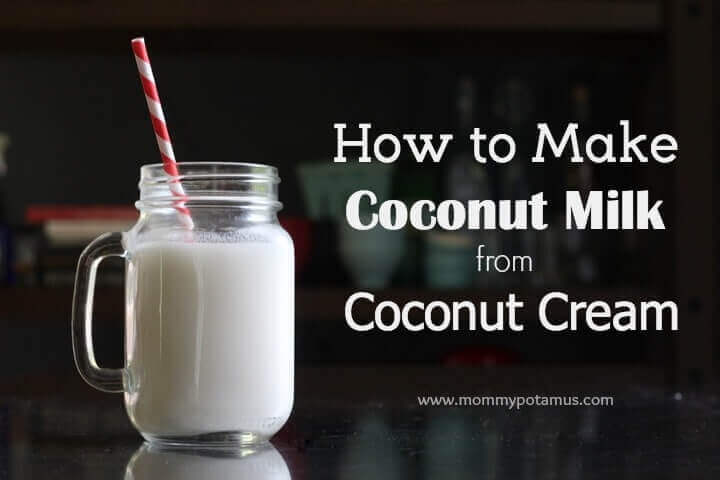 Can you share a link to the coconut milk you used with the best success? Thank you so much for all of your great thoughts and insights!! Blessings! Please excuse my ignorance but does the coconut milk include the cream? Thank you! Good question! I’m glad you asked because mine is always separated at room temperature. Yes, it does. Though they typically separate when refrigerated, I’ve found that store-bought milk redistributes reasonably well when shaken. For homemade coconut milk (or store bought that continues to have issues with separating), I recommend chilling the mixture and, running it through a blender, and then placing back in the fridge. In my experience this step results in very few issues with separation. I used the whole can…liquid and cream, blended it up…wonderful. Thanks for this amazingly simple recipe! I’ve used it on my thick, curly hair, as well as my young daughter’s fine, tangly hair, and it leaves our hair feeling soft and looking smooth. Hair brushing time is now almost tear free, what a huge relief! As a retired stylist I recommend also, if you get any product build up, such as hair sprays or heavy oils, use a clarifying shampoo once a week instead if your usual shampoo. Let it soak in for 5 minites before rinsing it out. It helps especially if you use cheap hair speay. It also helps perk a perm up too by removing the build up. I actually recommend washing with blue dawn dishsoap and then rinsing with lemon juice to get rid of build up. Works great to rid of buildup! can I use Argan oil as an essential oil in this recipe? Argan oil is not technically an essential oil. You could try it, but it may cause the conditioner to weigh hair down. I tried making this leave in conditioner with canned coconut milk with water and no oils and my hair was like straw it was so dry. Do you have any suggestions to increase the moisture? Would glycerin work, goat milk, honey, a soft butter like pumpkin seed butter or coffee butter and jojoba oil not a greasy oil? And how long is the shelf life if stored in refrigerator without preservatives-yuk! I hate paraben preservatives. If I did use an all natural preservative like Linatural could I store it at room temperature? Your hair probably just doesn’t like coconut. Unfortunately coconut is a weird ingredient that hair seems to hate or love. My hair hates coconut. However my daughter’s hair soaks it up gets really soft. I had the same result. My hair has never felt so dry. If your hair is feeling like straw it is not able to absorb the moisture from the coconut. You may have a mineral build up on your hair that could be from any of several reasons. It’s like minute rock particles coating your hair strands. And no moisture will break through that. What you need to do periodically is remove that build up. The best way I know is to go to a salon and ask for a Malubu Crystal Gel hair purifying treatment. It will Take about an hour and cost about $35. Then go home and try your diy leave in. Let us know how your love your hair then! what if I don’t have a fridge available? i am traveling abroad soon and would like to be able to do this on the road. I was thinking the same thing. Would adding adding Vitamin E or another natural preservative allow it to be left a room temp? Vitamin is an antioxidant – which means it slows down the process of oils and other substances going bad – but it does not have antimicrobial activity and therefore cannot be used as a preservative. Adding a naturally derived preservative such as Leucidal Liquid PT is possible, but it would require follow-up lab testing to determine how much should be used for effectiveness. Colloidal silver works well to help preserve things. Hi, how often I can use it? Everyday for refreshing my hair is a good idea? What can I ad to it so my hair is protected when I blow dry and straighten/curl it? Hi. If I mix coconut milk with apricot kernel oil, (no water) does it need to be refrigerated? Will it go rancid quickly? (Like oil with water in it) Or will it have a long shelf life? (Like oil) Any information you could give me, would be greatly appreciated. Thank you. You should always go with the ingredient with the shortest shelf life. In this case, it will be the coconut milk. Check the label on the can for the ‘once opened’ time frame, & keep it in the fridge. I make and use a shampoo/bodywash with coconut milk & Dr.Bronner’s liquid castile soap (the proportions change with the seasons, but Spring & Fall are usually 1pt castile to 2pts coconut milk. More soap in summer, less in winter), & keep it in the fridge, between uses. If I forget, it starts to go bad within a week, during the winter & within a day or two, in the summer. 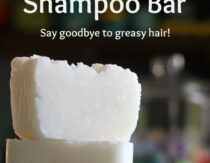 I’m going to pick up a can of coconut milk & make this conditioner! This winter was a bit drier, somehow, & I’m thinking of appetizing all of me with it, lol. Yeah, Apple cider Vinegar rocks! It all works for me as well as some friends here using same technique. What about using coconut oil instead of coconut milk! What that be an ok sub? Can I use organic coconut milk that comes in milk carton? Can you put it in your hair daily? I have used baking soda as a hair rinse and it did well. Have not tried it with the soap, sounds like a good experiment for next time. I have been using coconut/almond milk that comes in a carton at the grocery store along with adding drops of peppermint. So far it has done wonders for my scalp. I just recently switched to home made soaps and conditioners for my hair. It has been an interesting experiment so far. I love the coconut/almond and peppermint and might try adding lavender some day. Is it OK to use coconut milk in a milk carton it’s organic but it’s not kept in refrigerator is this ok? How long should leave in conditioner stay in your hair? I want a product that will help detangle my hair and keep it smooth. A handmade leave-in conditioner seems like a great solution. The coconut milk, as you explained is a great ingredient to help soften and condition without weighing hair down. While I don’t have much time to make this, I will look for a handmade leave-in conditioner that I can buy. Seems nice n easy….I’ve dry hair so which essential oil shall I use…kindly suggest. One of those Co2 powered whip cream makers? I remember seeing an infomercial on a whipping mashine that you could make a whip topping out of non fat milk. Now I have to do research because I want one. Does this spray attract bugs? Would depend on what essential oil you added., I think. 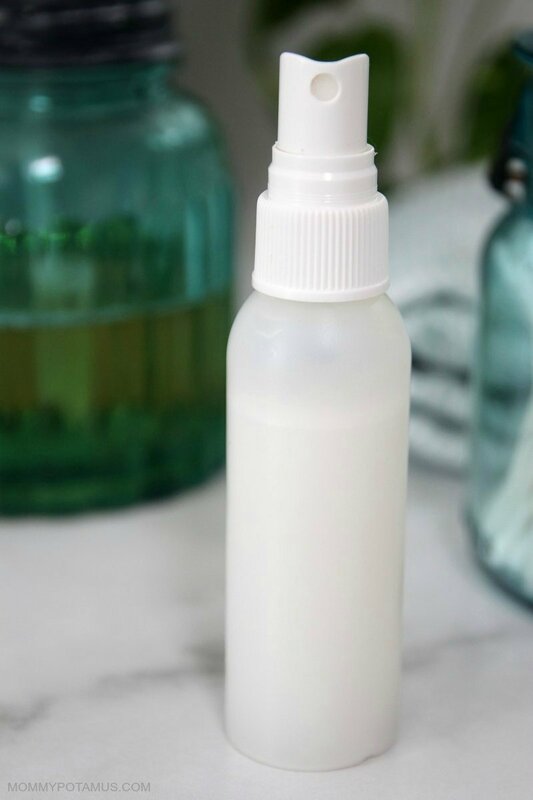 I love this spray, easy to make, my hair felt lovely & my curls fell nicely, I have scalp psoriasis & hair loss so was looking for a gentle product, the store boughtproducts will be going in the bin! Can I use coconut powdered milk? If we wanted to add preservatives, what could we add? Prev Post Beard Oil Recipe – Makes Scruff Kissable!